"Smart Lawn and Garden Care"
In Gainesville, great landscaping can considerably improve the look and value of your home or commercial property. In Florida there are many different variables to take into account when it comes to properly planning, planting, and maintaining gardens, trees, shrubs and flower beds that will sustain the extremes our great state has to offer. With various soil types, drastic weather changes, and many species of bugs to consider, it is important to have a good landscaping company in Gainesville to keep your yard looking its best. At Ivy League Landscaping we are dedicated to the look and longevity of your landscape, taking into account the everyday logistics and specific needs of our clients. We offer many different services such as regular or one-time lawn care, bamboo installation, xeriscapes, butterfly gardens, and more. 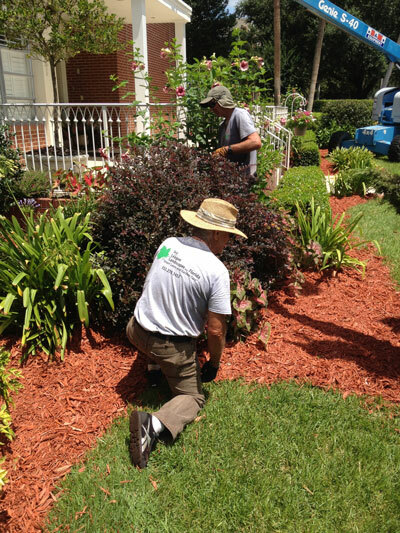 We strive to deliver quality professional services at reasonable prices, while providing Florida Friendly landscapes. Florida Friendly Landscaping is the principle of using low-maintenance plants and implementing the most eco-friendly practices to help maintain and protect the future of Florida’s natural water resources. Choosing landscaping that uses a minimum amount of water, fertilizer, and pesticides can add value to the community while also reducing the chance of over-extending or polluting the water supply. These landscaping choices can still result in attractive spaces that will be the envy of your entire neighborhood. 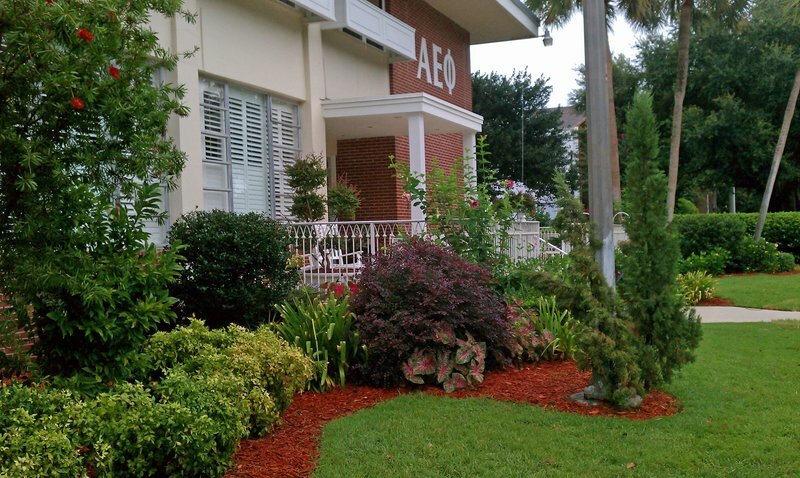 There are many aspects to Florida Friendly Landscaping in Gainesville, including knowing where to plant the right plants in the right places, conserving water, using the right type of mulch and fertilizer, attracting the right type of wildlife, and managing pests and yard waste responsibly. We pride ourselves in our ability to help our customers do their part with Florida Friendly Landscapes. We offer free one-hour consultations to talk about your needs and wants when it comes to your landscaping, and we can help you create outdoor spaces that are both eco-friendly and beautiful. Check out our gallery and testimonials for examples of our hard work and our great work ethic. ​Xeriscapes are landscapes that are designed for low-maintenance and require little to no irrigation. Choosing Florida-native plants that can thrive in the most extreme of conditions gives you more time to enjoy the things you love instead of being a slave to your yard. Xeriscapes are also great at bringing color to your outdoor space, and attracting many types of butterflies and different pollinators. Give your Gainesville landscape a pop of color and the peace of mind knowing the harsh conditions of drought or heat won’t affect your yard. Xeriscape landscaping is also very eco-friendly and resistant to the effects of climate change. As temperatures rise year after year, a xeriscape landscape is able to withstand and even thrive in more extreme conditions. In addition, xeriscape landscaping requires very little to no irrigation which means that water and energy consumption can be reduced to nearly zero and thereby reduces the carbon footprint left behind. There are many reasons why hiring a professional landscaping company has its benefits. Ivy League Landscaping can save you both time and energy when it comes to properly designing, planting, and maintaining your yard. 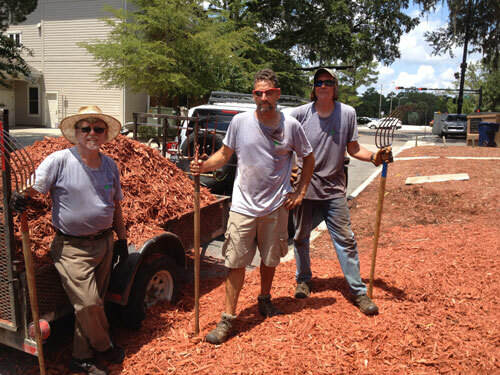 We have the knowledge and experience to provide you with both visually stunning and easy care landscaping in Gainesville. Some people are just not gifted when it comes to caring for plants. That is ok! 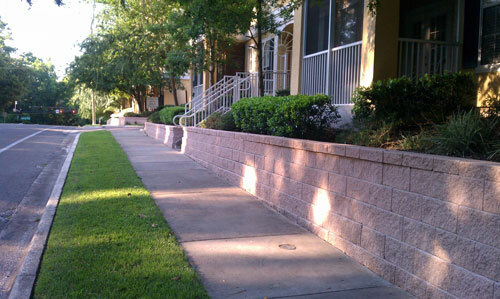 We are good at what we do and take pride in making your landscaping look its best. Taking care of your yard can mean a lot of hard work and dedication. Understanding the soil and grass type, the best times to trim and mow, and knowing if/when to use fertilizer or pesticides can a tricky thing for most property owners. We are happy to take the guesswork out of it for you. Did you know that strategically placed trees or bushes can reduce your HVAC costs? Using plants to shade your windows, protect your home from the hot Florida heat in the summer and the freezing cold winds the in the winter, and to cool down your patio or deck can help you drastically reduce your heating and cooling bills. Knowing how and where to plant the best kinds of trees and shrubs to create a home with better energy efficiency is a great resource Ivy League Landscaping offers to our customers. The philosophy of Ivy League Landscapes Florida is to blend the best aspects of all facets of landscaping. Idealistic or text book approaches to design, maintenance, or renovations do not always take into account every day logistics. At Ivy League Landscapes we aim to listen to each clients individual concerns, taking into account long term and maintenance concerns. The desire of Ivy League Landscapes is to provide the greatest value service and the highest quality plant material to the customer.